Michigan winters require a sound and functional furnace in order to keep warm during the hefty snowfall. While home furnace systems are made to last for years without needing to be replaced, there are a number of common furnace problems that plague Michigan residents. Luckily, many of these common furnace problems are preventable and easily repaired, however, there are instances in which a new furnace is needed. 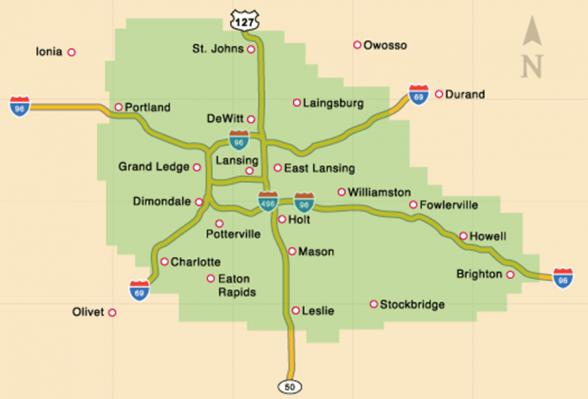 Applegate Home Comfort, based in Okemos, Michigan, has been serving residents of the surrounding communities with HVAC and furnace repair since 1952. We understand exactly how detrimental a malfunctioning furnace can be in the dead of winter. Before you contact us for a free evaluation, let our experts explain some of the common furnace problems Michigan residents encounter. Some of the most common furnace problems arise from a lack of maintenance. Routine inspections are needed to assess the condition of your furnace and failing to schedule maintenance can cause avoidable problems and breakdowns to occur. This can also affect the longevity of your furnace’s life. One of the common furnace maintenance tasks that can be done without a professional is replacing the air filters often. Dirty or clogged filters can reduce the airflow, which in turn will make the furnace work harder to circulate air through your home. A dirty filter can also damage mechanical parts of the furnace, leading to even more problems. Malfunctioning Thermostat: A faulty thermostat can lead to a number of issues including problems controlling the temperature or the fan. Noisy Furnace: A noisy furnace can be a sign of a clogged burner, filter problems, airflow issues, or a number of other mechanical issues. Continuous Cycling: If your furnace cycles between on and off modes, this may be a sign of poor airflow, a clogged filter, or a problem with the fan or thermostat. While many maintenance and mechanical furnace problems can be repaired, there are a number of common furnace problems that will require an entirely new furnace in your home. Keep an eye out for some of these common warning signs that signal the need for a new furnace. Carbon Monoxide Leaks: Carbon monoxide leaks can be an extremely dangerous health risk for you and your family. If you have noticed frequent headaches and nausea, be sure to call a professional today. Age of Your Furnace: While furnaces are meant to last, they aren’t going to last forever. If your furnace is approaching 30 years old, you may want to begin looking for a new unit for your home. Burner Flame Color: Take a look at the burner flame in your furnace. If it is yellow instead of blue, it may be time to replace your furnace. Common Furnace Problems? Call Applegate Today! Whether you are in need of routine maintenance for your furnace or if you have noticed one of these common furnace problems, be sure to contact the experts here at Applegate Home Comfort today for a free consultation. You can also contact us by calling 517.337.7700.